When I saw this game on our schedule I wondered if we'd get to see Bradford play against us. If we didn't I figured it would be due to injury not benching ! I thought that too. I wanted to play against Sam Bradford who I believe is a fan favorite amongst Vikings fan. Meaning there will be cheers for him in Minnesota...I think. I liked their roster and they had a better running back than Sam ever did when he was in Minnesota (not talking career achievements, but current skill at the time) with David Johnson and despite his age, Larry Fitzgerald still had over 100 receptions last seaso n and should still be contributing at a high level this season (he's not)...Their offensive line though (surprise surprise) is one of the worst in football. I must disagree I thought Murray and Jackson has been better than David Johnson. Sam has suffered through bad defenses with Eagles and Rams thou. Larry been banged up this year and was supposed to retire a couple of years ago. I think he retire this year. The way the game is changing and game speed is faster. Sam Bradford needs to be mobile and be able to move around. With his weak knees he can't do that at all. Sad to say but its time for him to retire. 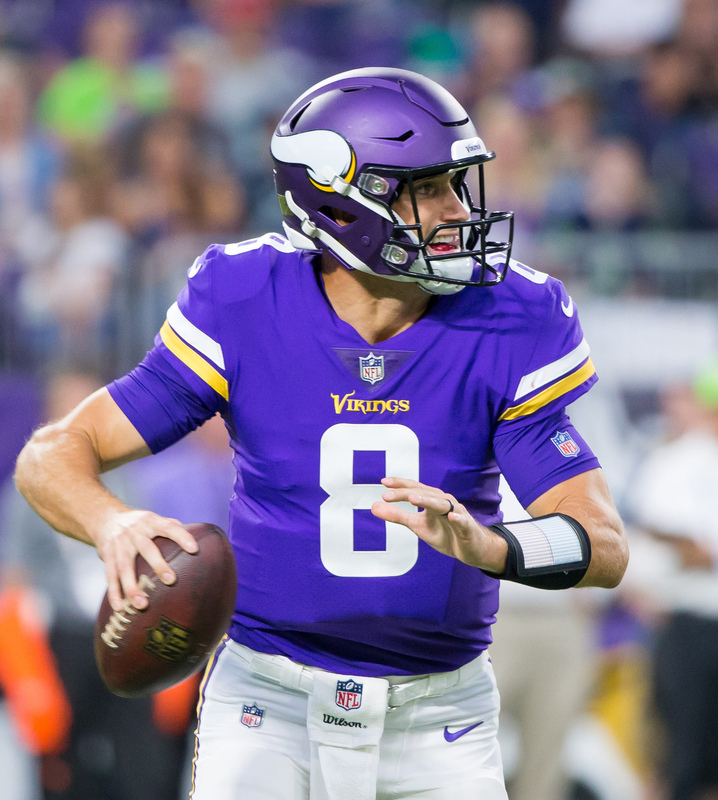 I never liked Sam until he came to the Vikings My favorite game was when he dominated the Saints 346 yards and 3 td on Monday night last year week 1. They are last in the league rushing. We beat them by 2 yards/game to be the second worst. Since I'm talking OL, I wonder how that 6' 9" 400 lb OL on the Gophs will do. He's the Andre the Giant of football I guess. The Gophers have a player who is 6'9" 400 pounds? That's insane. Put him in FG defense and he culd block every kick. In hindsight, I have to think much of the Buffalo loss was due to the effect on the team from Everson going to the zoo. I understand there has been issues for a long time before he was asked to leave and seek treatment. That stuff affects a locker room. With that combustible situation behind it the team settled down last week. I see a comfortable 14 point win tomorrow. SKOL! Cook is expected to play in at least half the snaps on offense tomorrow, according to sources. I read an article that said he was downgraded. I hope that if he plays, he is ready. Reiff is out. Be interesting to see how Hill & O'Neil does today. Hill is at LT? Watch out Kirk! 6'9 400 pounds could he move? Would it hurt or help an offensive line. Also wouldn't it be better if he played DT. He's tall can bat down balls etc.